Ear infections are a painful and recurring problem for many, especially young children. While an ear infection is often easy to treat, chronic infections require the attention of a specialist. Dr. Michael S. Cohen, an ear, nose, and throat (ENT) specialist practicing in Long Island, NY, offers treatment to heal and prevent chronic ear infections. At Long Island ENT Care, we take a conservative treatment approach whenever possible, and offer minimally invasive surgical solutions to provide the relief you need. Ear infections affect patients of all ages. Infections of the ear can involve the outer ear canal, the middle ear cavity, or the inner ear. Outer ear infections (sometimes known as "swimmer's ear") often cause ear pain, hearing loss, and drainage of fluid from the ear. These can usually be treated by gently cleaning and placing drops in the ear canal. Dr. Cohen uses a microscope to make certain the ear is cleaned in the safest and most gentle manner possible. Acute otitis media is a common bacterial or viral infection that affects the middle ear. A middle ear infection often occurs after a cold or flu when a buildup of trapped fluid becomes infected, causing significant inflammation and pain. The pain can sometimes be quite severe, and certainly very difficult for young children to endure. The most common symptoms of a middle ear infection are diffuculty hearing and pain that tends to worsen while lying down. If the ear drum ruptures, mucus or pus may drain from the ear. Inner ear infections are usually caused by a virus. These types of infections usually cause dizziness that can sometimes be severe. If these symptoms last for more than a day, or your child is younger than six months old, it is important to call the doctor. 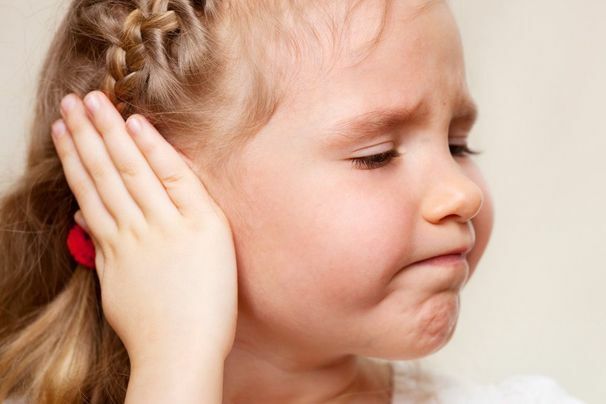 Persistent or frequent infections can cause complications including hearing loss, which can affect the development of speech in young children. In rare cases, an infection can spread and cause a potentially dangerous condition. As a board-certified otolaryngologist, Dr. Cohen treats patients at three office locations in Nassau and Suffolk County. Long Island ENT Care provides diagnoses and treatment for conditions of the ear as well as disorders involving the head and neck, as well as the throat. Our practice is very well respected, receiving frequent referrals from local primary care practitioners and pediatricians. At your office appointment, Dr. Cohen can test for an ear infection and perform tests to detect hearing loss and other potential complications. Frequently, we see patients whom other practices treated with antibiotics when a simple cleaning of the ear was all that was actually needed. If an infection is present, Dr. Cohen can prescribe the appropriate medications, including antibiotics. If the problem is chronic, with multiple ear infections requiring antibiotics, or there is a persistent buildup of fluid in the ear (effusion) after an infection has been cleared, Dr. Cohen may recommend placement of ventilation tubes. Pressure-equalization (PE) tubes can be a safe and effective treatment option to avoid the need for antibiotics. Pressure-equalization (PE) tubes can be a safe and effective treatment option to avoid the need for antibiotics. Placement is performed as a quick outpatient procedure. Dr. Cohen will first suction fluid out of the middle ear, then place the tube in the eardrum to prevent mucus from accumulating. This restores hearing and reduces the risk of future ear infections. Designed to remain in place for several months to a year, the tube will usually fall out naturally, or it can be removed by Dr. Cohen. Chronic infections in the sinuses, adenoids, or tonsils can be associated with recurring ear infections. In these cases, It is imperative to identify and treat the associated issues. Dr. Cohen specializes in these issues and can provide expert diagnoses and treatment. If you or your child is suffering from a chronic ear infection, Dr. Cohen can provide relief. To schedule an appointment, please contact us online or call (516) 921-6780 today.